Dahlias have been a part of the Gerald and Betty Waltz garden for a long time. They require plenty of effort to maintain from year to year, with planting the bulbs in the spring, weeding and watering during the growing season, and then taking the bulbs up in the fall, labeling and storing in proper conditions to keep them over the winter. But they are certainly worth the effort with their prolific, large and beautiful blooms. You’ll often find Gerald in the garden cultivating a row or two across the garden and you can always count on Betty having several bouquets on display throughout the summer on the kitchen table and at church. 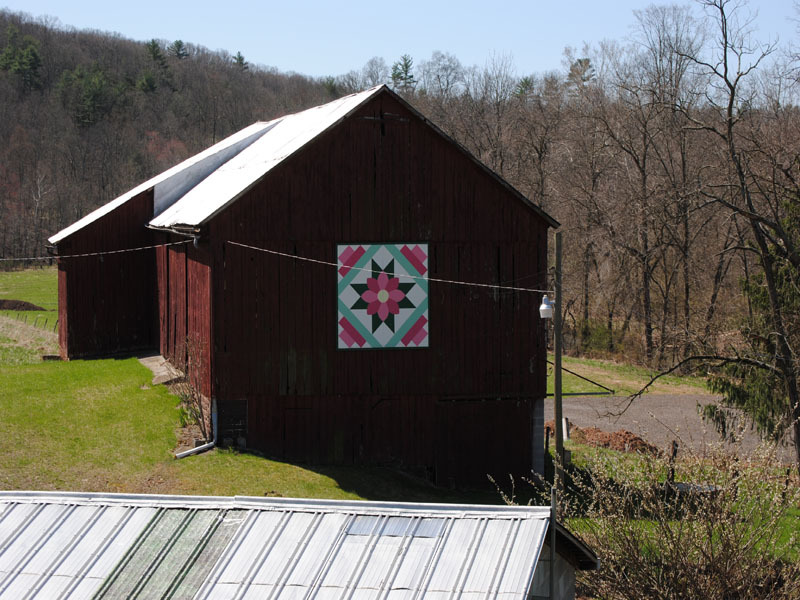 The pattern decision wasn’t too hard fro daughter, Ann and husband, Russ Hoffman to make when deciding to create a “barn quilt” for the end of their parent’s barn. The surprise was unveiled to them as a Christmas gift.